FIXYOURTHINKING.COM / Need a brain? Borrow mine! : The Toe Mouse! The Toe Mouse is especially designed for those who have upper limbs disability and cannot use their hands to move the mouse. This ergonomically designed gadget uses our natural ability to grip between the toes, for manipulating the Mouse. You need to slip it on, between the big toe and second, just as you would wear your flipflops. The sensor below the big toe acts as the left click button and the one below the second toe is the right click. 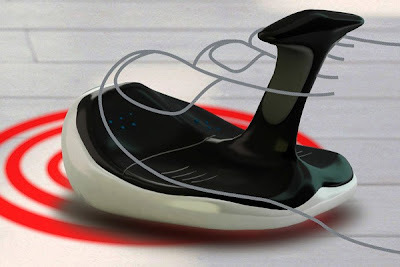 I find very little flaws in this design, and going by the determined grit we have seen in handicapped people; if they can conquer pen and paint brushes without using hands, then this mouse is no big deal!